Your mail client should work for you, not against you. 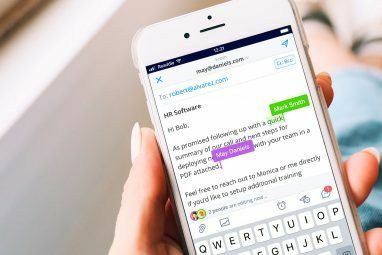 If your mailbox is cluttered with unread and unfiltered messages, you need to check out the IMAP mail client, MailMate. While the beautifully designed Airmail Airmail for Mac OS X Is Making Email Beautiful Again Airmail for Mac OS X Is Making Email Beautiful Again When I first heard of Airmail, I must admit I questioned if I really needed a new way to check my email. Like many people, Mail.app satisfied all of my email requirements, and I struggled... Read More and the minimalist Unibox for the Mac have their benefits, the more straightforward MailMate may actually just be better at helping you manage and filter messages and get your inbox to zero. MailMate is available for a free fully functional 30-day download, with the paid version costing a serious $49.99. That’s a heavy price, so let’s explore what you get for your money. MailMate closely resembles Apple’s own Mail client, by default displaying a column to the left for mailboxes and folders, and a split horizontal view for messages and message content. MailMate competes with Mail in most areas, except that it doesn’t have a supporting iOS version. Since MailMate is an IMAP IMAP vs. POP3: What Is It and Which One Should You Use? IMAP vs. POP3: What Is It and Which One Should You Use? If you have ever set up an email client or app, you will have certainly come across the terms POP and IMAP. Do you remember which one you chose and why? If you are not... Read More client, and can import multiple accounts, your IMAP accounts should stay updated regardless of whichever device and app you use. Also just like Mail, MailMate allows for editing and re-sending previously sent messages, and it does a better job of filtering message threads and conversations. When you click on Thread or Correspondence in the toolbar, MailMate separates the thread from other non-related messages, making the conversation easier to view and follow. With a single click, threads can also be saved as a smart mailbox where they will be kept updated as more messages are received. Another powerful feature not found in Apple’s Mail is the ability to mute messages. If you receive messages as part of a mailing list or a thread, you can “mute” the original message and MailMate will automatically mark any new replies in the thread as read so you don’t have to be bothered reading them. You can view and un-view muted messages in the assigned smart mailbox. Smart mailboxes are the best way to get the most out of MailMate, which includes several more rule conditions than Apple’s Mail. The application comes with a set of pre-installed smart mailboxes; for instance, one that captures all your received emails in the last 7 days. This smart mailbox can easily be duplicated and customized for fewer or more days. There are also smart mailboxes for unread messages, and messages with a PDF or image attachment. Smart mailboxes can be created for individual VIPs, messages with assigned tags, keywords, or mailboxes based on particular subject heading. Smart mailboxes filter messages that are often difficult to locate in a cluttered inbox. Tags in MailMate are pushed to IMAP servers, and will synchronize between email clients with support for IMAP keywords. Setting up the conditions for smart mailboxes can be somewhat challenging in MailMate if you’ve never used them in Apple’s Mail or similar applications. Fortunately as you create or edit a smart mailbox, you can see the results before closing the mailbox editor. MailMate does not support rich text editing, only plain text is allowed in the composer. But if you are familiar with how to compose using Markdown, you’ll feel right at home in MailMate as the composer window includes a live preview of applied Markdown. MailMate also allows you to set messages to be sent at a later date, which is enabled in the composer window by clicking on the drop-down menu on the left below the subject header (visible in the screenshot above). This feature allows you to type a time expression (e.g., “friday at 10,” or “10 minutes”) that is supposed to highlight in red, but I find it to be buggy. If MailMate cannot parse the expression, then a drop-down sheet appears for you to set the exact time. Just make sure that what you type in the send later field is highlighted in red. Another useful and unique feature is the way MailMate handles mail signatures. In addition to allowing you to select which pre-typed signature you have saved, as you do in most mail clients, MailMate starts learning which signature you use for which recipient, and it defaults to that signature if it notices a pattern. If it does not recognize the recipient, it inserts the signature you use the most. While MailMate is indeed pricey for a mail client, I will definitely purchase it at the end of the trial period. I’ve already found the advanced smart mailboxes and features for viewing threads and conversations to be big time savers. MailMate also includes notification features or counters, visible in the dock icon and the menu bar, if enabled. 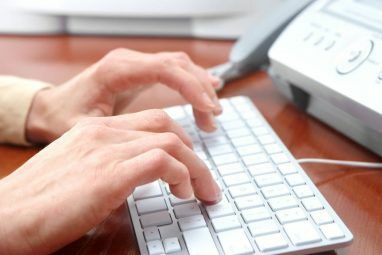 You can also enable what is called “key binding” which allows for using and creating selected keys, like with Gmail, to quickly start a new message, or reply or forward emails. The developer is the process of working on version 2.0 of MailMate, so let him and us know what you think of the application, and what you’d like to see next time round. OMGosh Henawder ! Thank you THANK YOU !!! I just looked at Thunderbird and see I can configure BOTH POP and IMAP. Bless you !!! I am using the trial version and I like how easy it was to set up. All mail accounts from MacMail were set up instantly. My question is that in MacMail there are MailBoxes and SmartMailBoxes which are different. Is MailMate calling a regular mail box and smart mail both SmartMail? I have both IMAP and POP accounts which I want to put all in one mail client. The only one so far that I have found is MacMail. Is there any chance that MailMate will go this route? If I can get through the directions before the end of 30 days I *might* purchase, but why i the heck is there not a pull down menu with preset key stroke for new mail box, etc. If there is I didn't find it yet. I've been using MailMate for about a month and am extremely happy with it. Bakari, you're correct in stating that it's worth the price. Mail continued to cause problems for me in 10.9.2 in Gmail and an Exchange account. Once I finally gave up on it, I tried every less-expensive alternative I could find. All had serious problems or limitations. 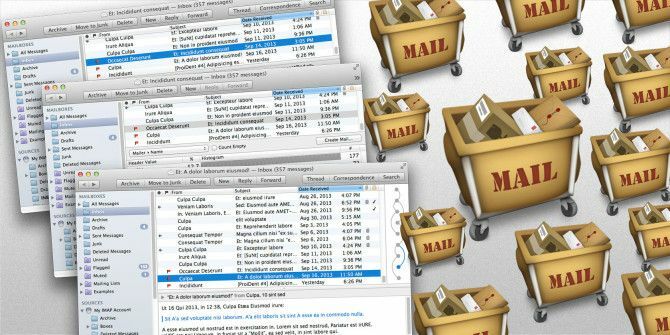 I had become hooked on using Mail Act-On with Mail to easily navigate numerous folders in several accounts. MailMate is the only application I've found that matches Mail Act-On's ability to handle email navigation efficiently. By the way, there is a 25% academic discount available for MailMate. I spent less on it than I did on Mail Act-On's original price plus one upgrade. But I would have paid the full price for MailMate if necessary -- it's that good. It has already paid for itself because of the time it has saved me. Hey Patrick, thanks for your feedback. I have to use a separate mail client for my job related emails, because if not, my Mail client bloated. I've tried other third-party clients, but because they lack smart folder features I found them not that useful. MailMate is the closest to Mail, and in some ways better. Hi Patrick, are you saying you got MailMate to work with Exchange directly? My stupid university IT department just migrated to Exchange and refuse to turn on the IMAP support. Can I still use MailMate? Hi Joanna, yes, MailMate is working with my university's Exchange account. Unfortunately, I don't know whether it will work with an Exchange account without IMAP support. You might try contacting the developer of MailMate. He is quite knowledgeable about a huge variety of email scenarios and seems very willing to help. Hi, after encountering the common problem of Mac Mail not always playing well with gmail, I searched for alternatives. Mailmate wasn't mentioned as frequently as some other alternatives, but it did get good marks for being robust and flexible and powerful. I downloaded the trial, and have enjoyed it enough to pay the $50 (as a faculty member, I deal with a lot of email, so I am happy to pay for productivity). During my first few days I alternated between Mac Mail and Mailmate, but soon went all Mailmate. What I especially like: the ability to quickly navigate between folders! This is a huge plus for me, especially the keyboard shortcuts to move messages to folders. Smart Mailboxes also work well. It has helped me trim down my Inbox. Thanks, Benny! Awesome, Scott, it's great to hear that you like the application. I know the price is a little hefty, but if you're finding that it helps with your productivity, then it's worth it, and you also help the developer with his work. Thanks for providing your feedback. 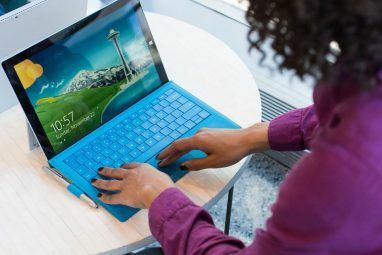 Thanks for useful mailMate article, I would like to have some thing similar to this for Microsoft, windows 7 if can be explore. First of all, thanks for trying out and writing about MailMate. With regard to the “Send Later” feature, the red color is actually MailMate telling you that it cannot parse the expression and therefore the sheet is shown if you try to send the message. Benny, thanks for that clarification. I referenced the manual, but I guessed I missed that explanation. I will see if I can get my editor to make the correction.